In 2017, The Recipes Project celebrated its fifth birthday. We now have nearly 650 posts in our archives and over 160 pages for readers to sift through. That’s a lot of material! (And thank you so much to our contributors for sharing such a wealth of knowledge on recipes.) But with so much material on the site, it’s easy for earlier pieces to be forgotten. So, the editors have decided that, every now and then, we’ll pull something out of the archives to share with our readers anew. This month’s we re-feature a post by Colleen Kennedy, first published in August 2013. I think that it fits very well with our conversations this month, don’t you? Enjoy the spring flowers, everyone! The violet (Viola odorata) is cited in several herbals and many recipe books as a particularly sweet scented, fragrant flower. Herbals, such as Culpeper’s, describe the violet as a “cold and moist” plant, with many medicinal qualities. It is used as a laxative, and as a treatment of syphilis and uterine complaints; it counterbalances choleric humors, is good for many lung ailments, eases headaches and sleeplessness, and is a general panacea. 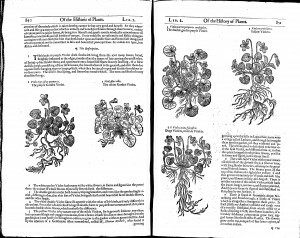 Any of Hannah Woolley’s recipe books are a good place to begin to study early modern recipes utilizing violet flowers. Violet’s pleasant odor is also the source of its medicinal powers and cause for its common domestic usage. So, what does the violet smell like? 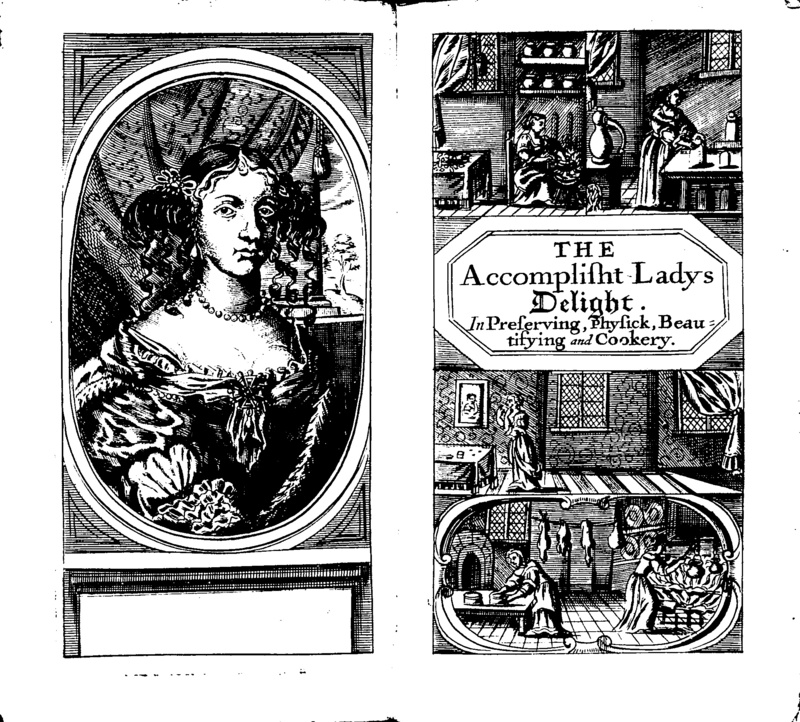 English, alas, lacks a smell-vocabulary, and violet is repeatedly only listed as “sweet” or “fragrant.” Avery Gilbert considers the two distinct “voices” available to modern perfume makers: “Ingredient Voice” (the actual list of and proportions of ingredients) and “Imagery Voice” (“atmospherics, the drama of seduction, passion, and mystery”) (15). It is in that latter voice that we move closer to the more detailed early modern accounts of the aroma of violet. Likewise, for early modern writers, the violet is also a sad and musical aroma. Francis Bacon, in his essay “Of Gardens” (1625), links pleasurable odors and sounds (and much earlier than our modern perfumers): “And because the breath of flowers is far sweeter in the air (where it comes and goes like the warbling of music) than in the hand, therefore nothing is more fit for that delight than to know what be the flowers and plants that do best perfume the air”. Violet is his favorite perfumed flower: “that which above all others yields the sweetest smell in the air is the violet”. “If music be the food of love, play on. Stealing and giving odour. Enough, no more. Gerard nicely summarizes the memorable, virtuous, affective, symbolic, and olfactive properties of the violet that we have been sniffing out in this brief essay. Nicholas Culpeper, Culpeper’s Complete Herbal (London: Arcturus, 2009). Hannah Woolley, The Accomplish’d lady’s delight in preserving, physick, beautifying, and cookery containing I. the art of preserving and candying fruits & flowers (London: Printed for B. Harris, and are to be sold at his shop, 1675). Rebecca Laroche, with Steven Turner, “Robert Boyle, Hannah Woolley, and Syrup of Violets”, Notes and Queries 58 (2011): 390-91. Avery Gilbert, What the Nose Knows: The Science of Scent in Everyday Life (New York: Crown Publishers, 2008). The Norton Shakespeare Based on The Oxford Edition, second edition, Stephen Greenblatt, Walter Cohen, Jean Howard, and Katherine Eisaman Maus (New York, 2008). Diane Ackerman, A Natural History of the Senses (New York: Vintage Books, 1990). Rebecca Laroche, “Ophelia’s Plants and the Death of Violets”, in L. Bruckner and D. Brayton, eds. Ecocritical Shakespeare (Ashgate, 2011). Jessica Kerr, Shakespeare’s Flowers (Boulder: Johnson Books, 1969). Richard Palmer, “In Bad Odour: Smell and its Significance in Medicine from Antiquity to the Seventeenth Century”, Medicine and the Five Senses, eds. W.F. Bynum and Roy Porter (Cambridge: Cambridge University Press, 1993). 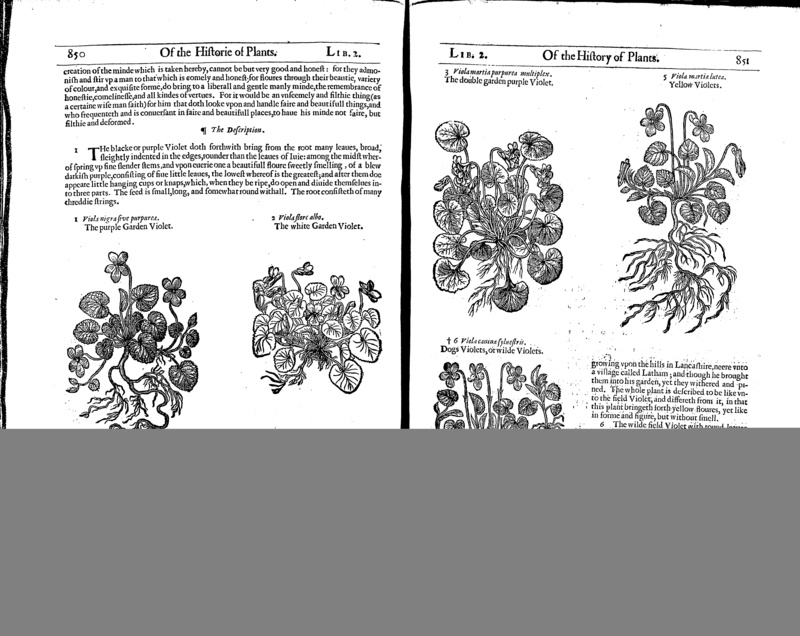 John Gerard, The Herball or Generall historie of plantes, 2nd ed. (London, 1633).